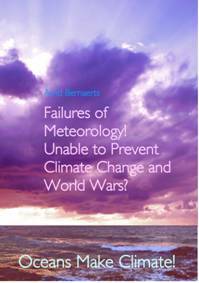 The European winter 1941/42 is a win-win case for climate researchers. 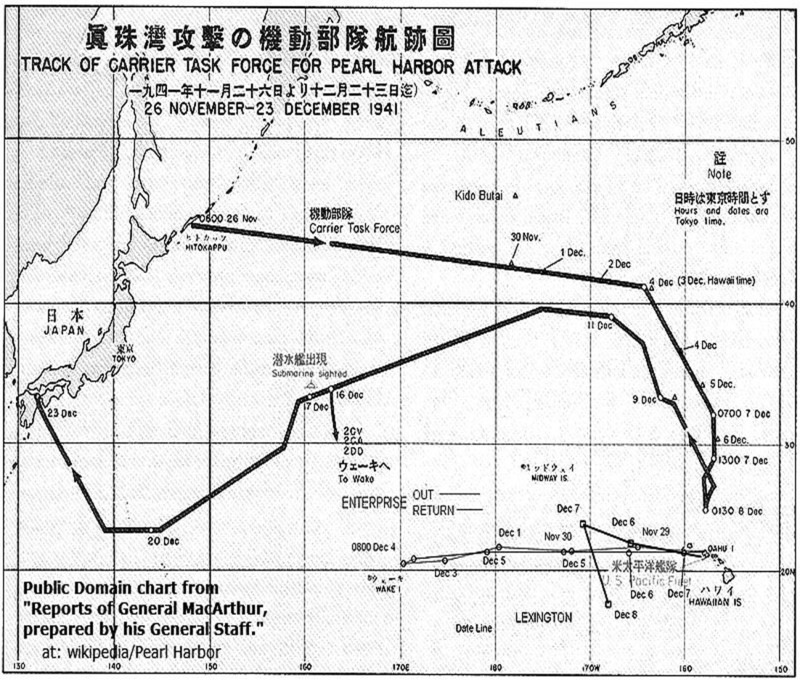 Since September 1941 to March 1942 the war was in the months 24 to 30. With more front lines, with newly developed and more weaponry, with more men in arms, and many industries entirely reorganised to serve the war machinery of many countries at war world wide, man not only challenged their enemy, mankind challenged nature as well. Any objective observer viewing the earth as a whole would not have hesitated to conclude that mankind was running a grand experiment on weather and climate with great success. The third war winter offers ample proof for that. A summary for the winter 1941/42 could also go this way. The year 1941 was a year of climate, in the worst possible sense. After bombing the winter 1939/40 into arctic conditions, man once again proved during the winters 1940/41 and 1941/42 that human kind is able to influence the weather. That happened although the overall physical conditions of the atmosphere, the seas and oceans had not necessarily been longer in the same ‘natural’ condition as they were before WWII. Although a massive human influence commenced together with the war, the first war winter was special. Two years and a few months later, many thousands of warfare activities in Europe and elsewhere generated not only a murderous environment for man, but a situation, which in an abstract sense mankind initiated a huge experiment with climate. Man interfered heavily with the atmosphere, and the marine environment. Many millions of soldiers with sophisticated means changed the ‘natural’ hydrological status in the ocean and the atmosphere. No responsible human undertaking could ever have planed and run such huge experiment. But persons with ruthless and criminal potential, and completely unaware, and too stupid to know what they are doing, just did it. During 1941 the experiment in the seas and waters of Western Europe continued. The means were not mere theory and modelling, but more in a practical sense. The Europeans got another tough arctic winter. The experiment proved to be a thorough success. The sub-low temperatures are evident according to images TM8 (p.109) and TM10 (p.143). The year 1941 had been filled with events. Many of the thousands may, if they are categorised and accumulated, have had an effect on the oceans and hydrological status and dynamics. In the waters off Western European coasts, and in the North Sea and Baltic, the events appeared in such an extent in a fairly confined region that it it is not difficult to link the activities to the result. It was handed to climatology on a silver platter. A cold region stretched from the United Kingdom eastward via Baltic to the Caucasus throughout the year 1941. The conditions went from bad to worse during the winter season 1941/42. In some locations it became the coldest on record, with the worst sea ice conditions ever observed in the Baltic. While the lowest temperature regions can be precisely located as stretching from Copenhagen to Moscow , it was possible to identify the physical source that ultimately brought about the most excessive temperature conditions of this winter, the Baltic Sea States. Together with the support of the North Sea and sea areas further westwards, Northern Europe ’s temperatures deviated strongly negative against the general global situation, which was well above the average. All of this to happen was an anthropogenic process. What is meant by human activities was exemplified by giving an overview of the naval warfare situation together with observed and analysed meteorological conditions. However, the relevance of the naval war thesis can evidentially be demonstrated by the prevailing conditions in the eastern part of the Baltic during the second half of year 1941. Since June 1941 two navies battled for supremacy. This military operation in the Baltic between Germany and Russia heavily surpassed the naval activities during the first few war months in late 1939. For more than six months innumerable dramas happened in the eastern Baltic with unaccounted numbers of sea mines, depth changes, and bomb explosions, and a destruction of about 400 military and merchant ships. That was pressure on the marine environment of unprecedented extent, with significant changes of the common status, particularly the heat capacity. Since early January 1941 arctic air could flow in freely. The Baltic had completely lost its usual means of transferring heat into the atmosphere. It became the coldest winter in those locations which had been close to the naval war scenery, for example in Tallin, Helsinki , and Stockholm . It was only the second winter with full ice cover since 1883, but produced an ice thickness never observed before. Each of the named facts is a strong evidential poin for the contributing effect of naval activities to severe winter conditions. Historical papers about military advances and failures of the German Army in their Blitzkrieg (‘Lightning War’) usually recognise the weather as one cause that prevented the invaders to reach Moscow before severe winter conditions were established. That had been the plan, but weather prevented this to happen. The interesting question why it happened is not asked, but this investigation explains it with the naval war activities in the Baltic. That caused the winter not only to come early, but also with extreme and unusually harsh conditions. From a climatological point of view, that might rectify the thesis, that the German Army and their ‘Fuehrer’ (leader) Adolf Hitler shot themselves in the back by not preventing to make the Baltic a naval battle ground. The winter 1941/42 was the last in the row of three extreme cold war winters. The reason that the series did not continue during the next three war winters in WWII is presumably quite simple. 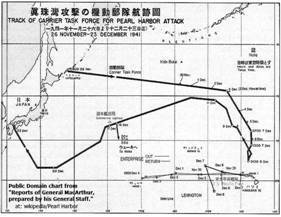 The naval war went global, when the United States entered the war after the attack on Pearl Harbor in December 1941. In Europe naval war activities turned westwards into the Atlantic up to the U.S.A. , and in the Pacific westwards from the Aleutian Islands and Hawaii to Indochina and the Coral Sea . Now the entire ocean space of the Northern Hemisphere had become an experimental laboratory for the climate change matter. The dimensions involved grew many hundred folds bigger than those in the North Sea and Baltic, which were a too small entity to play a significant role in this scenario.